With the fall temperatures finally looking like they are going to stick around, I’m sure everyone is looking to create yummy, warm and comforting recipes for dinner. This perfect fall weather soup has been on repeat in my kitchen and it is so easy to make! 1.) Boil the chicken until completely cooked. Shred and set aside. To save you tons of time, shred your chicken using this trick. 2.) In a large pot, heat up olive oil. Dice up the onion and green pepper and cook until tender, along with the garlic. 3.) Once veggies are tender, pour taco seasoning over them and stir until everything is coated. 5.) Bring to a boil. 6.) Add the chicken to the pot and reduce heat. 7.) Simmer uncovered for 30-45 minutes. 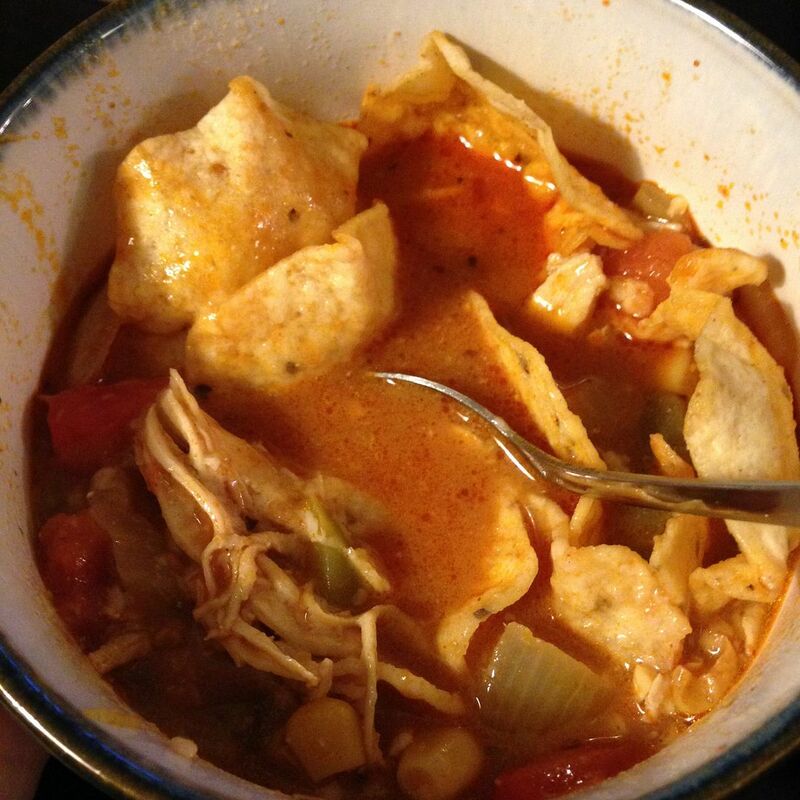 -The soup is excellent just as it is, but I like to add a little extra to it: tortilla chips and shredded pepper jack cheese make this soup incredible! -I’ve also heard of people adding jalapenos or sour cream. Whatever your preference, go for it! -The soup tastes best if you let it sit in your fridge overnight so the flavors can mix together more. Then just pop it on your stove, reheat and serve! I feel like this MIGHT even be easy enough for me to make! I'm a terrible cook. yum!! what a perfect fall meal!! A roommate of mine made this once and it was so yummy! Need to add this to our menu! yes! this sounds soooo delicious! I found your blog through "Mommy's first year" and I will keep up from now on! I have also just opened an etsy shop and would love for you to come check it out, since you love pink and have a little girl!